Seattle DJC.com local business news and data - Construction - What can Seattle area learn from Mexico City's quake experience? What can Seattle area learn from Mexico City's quake experience? Two teams led by Reid Middleton traveled to Mexico to see how different types of structures performed during the recent temblor. 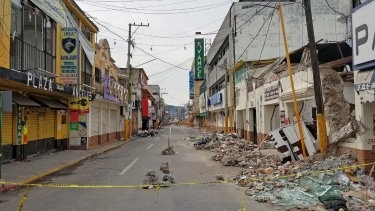 Damage was extensive on this main street in Jojutla, south of Mexico City. 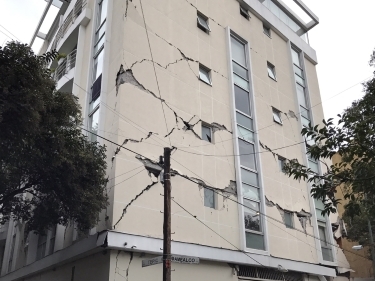 This apartment building in the La Condesa area of Mexico City had significant cracks in the shear wall.